Michael J. LaRue, owner of Rue La Rue Café, said he was very close friends with Golden Girls' star, Rue McClanahan. WASHINGTON HEIGHTS — A longtime Washington Heights resident wants to thank you for being a friend — by opening "The Golden Girls"-themed café in the city. 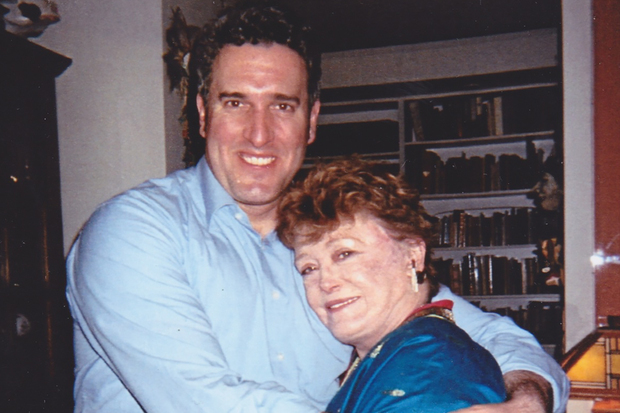 Michael J. LaRue plans to open Rue La Rue Café on 4396 Broadway, at the Sofia Storage Building, in early September in honor of the late Rue McClanahan — his close friend and actress who played Blanche Devereaux in the beloved series. “She was my best friend,” LaRue said during a recent Community Board 12 licensing committee meeting, adding that he's already lined up fellow "Golden Girls" actress Betty White, who played Rose Nylund, to attend the ribbon cutting ceremony. He'll also create a menu featuring soups, wraps, salads, desserts, baked treats and wine — and, of course, cheesecake. LaRue added that he plans to decorate the eatery with some of the items he inherited from McClanahan after her death in 2010. “When she died, I inherited all her personal belongings and show business memorabilia,” said LaRue, who was the executor of her estate and the administrator of her will. LaRue said he plans to have McClanahan's piano in the cafe for live music, he said. He hopes the cafe will entice fans from all over the world to travel to upper Manhattan. “I believe I can turn this place into a mini-tourist [hub] in Washington Heights,” said LaRue, adding that "The Golden Girls" is currently syndicated in 50 countries around the world. LaRue said Mark Bisch, McClanahan’s son, is a partner in the business venture, adding that because of his commitment to the project, the Walt Disney Company is allowing the café to manufacture its very own Golden Girls’ merchandise — “the only location in the world” — using images from the television show. The Walt Disney Company did not immediately return a request for comment. The café will be open Monday through Friday 6 a.m. to 10 p.m. and on weekends from 6 a.m. to 11 p.m. LaRue said he’s planning to create an outdoor component to the café for next year.